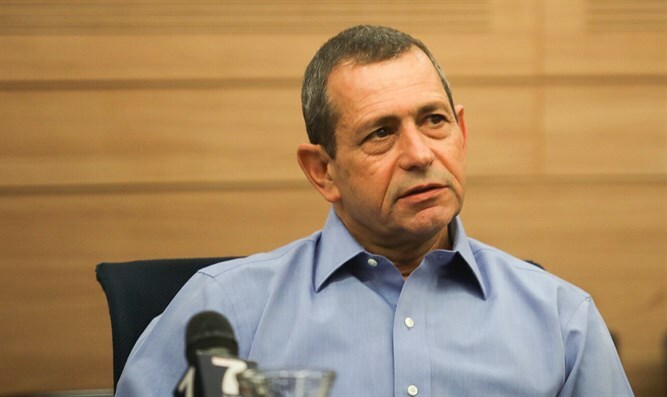 The home of Shin Bet chief Nadav Argaman was subject to surveillance for several days. The VIP Security Unit of the Israel Security Agency (Shin Bet) revealed that a civilian source managed to get close to the home of Shin Bet chief Nadav Argaman, in broad daylight, and install a hidden camera on a lighting pole on the street on which he lives, the Yediot Aharonot newspaper reports Thursday. The same person also managed to make sure that the camera filmed the entrance to Argaman's yard and documented what was going on in the street – in a public area – both outside the house and at the entrance to it. The report stated that the camera operated for several days without interference until it was discovered by the VIP Security Unit. The civilian source who installed the camera was summoned for questioning at the Lahav 433 unit of the Israel Police, and claimed that this was not an attempt to harm state security, but rather an action that was commissioned over a civilian background. It was further reported that the suspect was not interrogated under warning, was not suspected of anything and was not subject to any restrictions. At the same time, he was warned not to inform anyone of his summons to the police. His request to receive the camera back was denied. More than a week later, according to the report, an interrogator from Lahav 433 called the person who ordered the photographs of the Shin Bet chief and warned him. At no point was the person who ordered the camera to be installed summoned to the police.